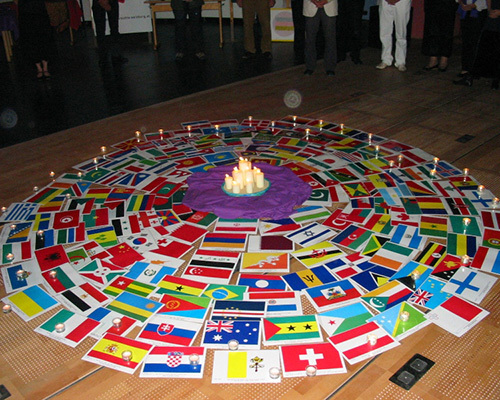 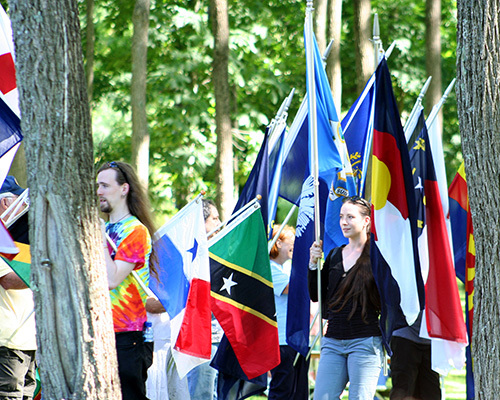 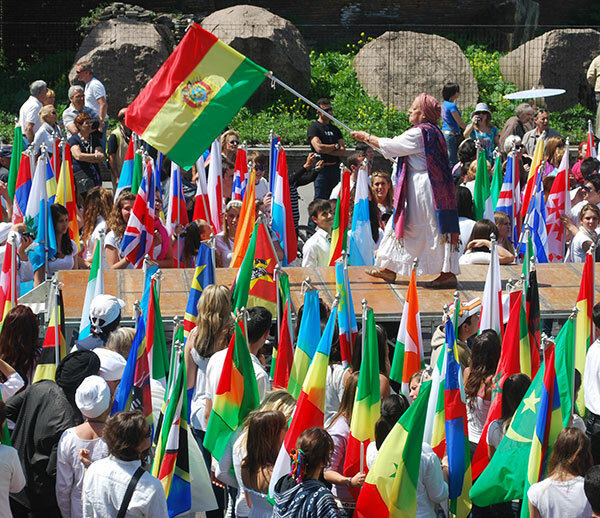 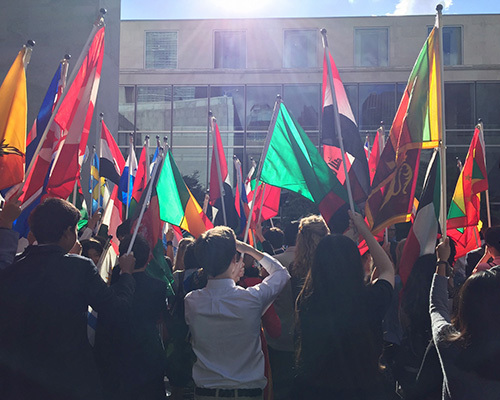 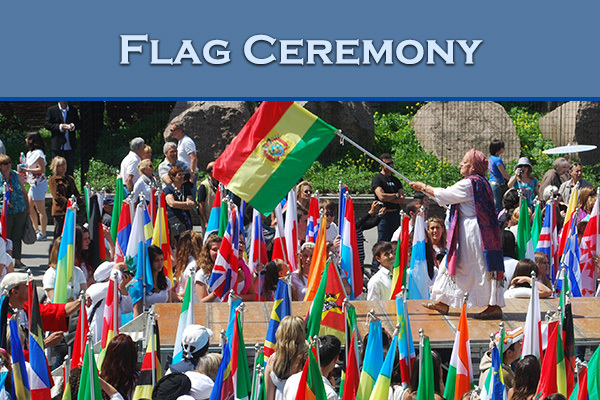 The World Peace Flag Ceremony is a global celebration of the oneness of life and the human family. 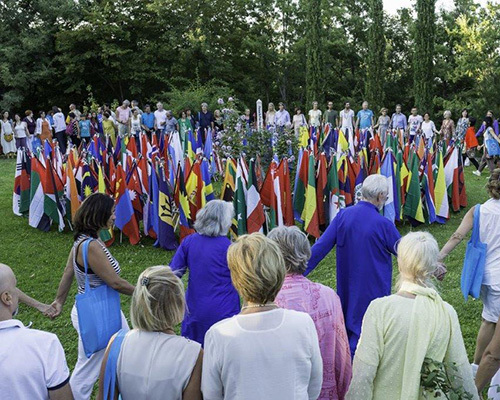 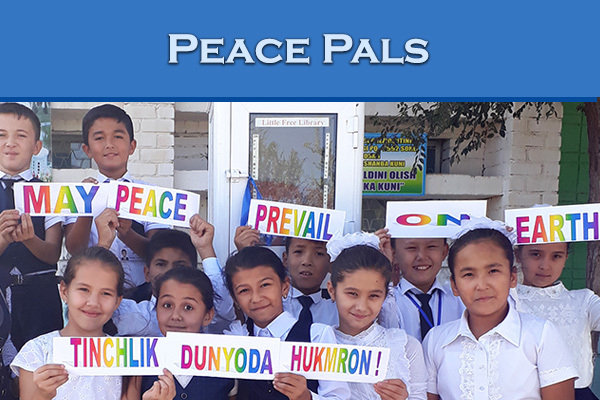 With united hearts and minds, participants of the Ceremony are invited to invoke prayers for peace to prevail in the countries and regions of the world. 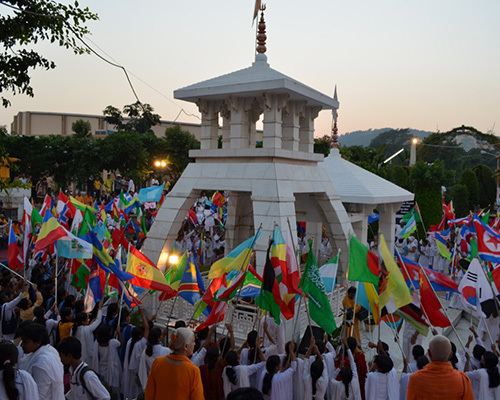 It is a moving ceremonial ritual rising above national boundaries, religion and ideologies giving expression to the universal wish for peace and harmony which lies at the core of every human heart. 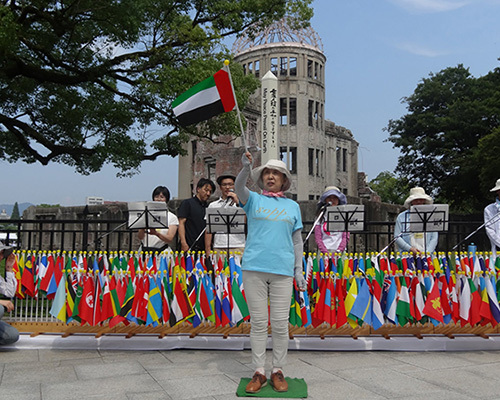 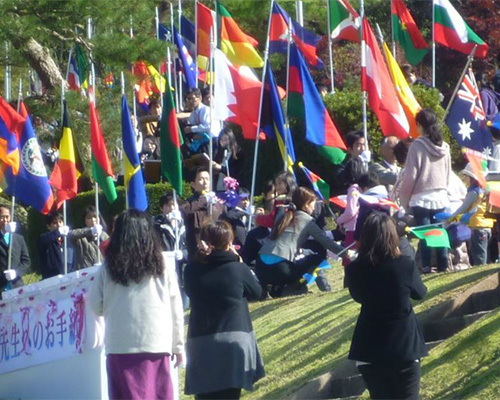 The World Peace Flag Ceremony was first organized in Japan by Masami Saionji in 1983. 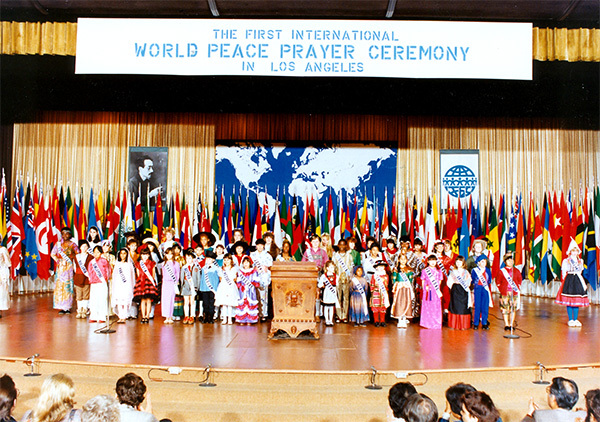 In 1986, The First International World Peace Flag Ceremony was organized in the city of Los Angeles introducing this moving Ceremony to an international audience for the first time outside Japan. Since then this Ceremony has been organized on every continent and in every major city throughout the world. 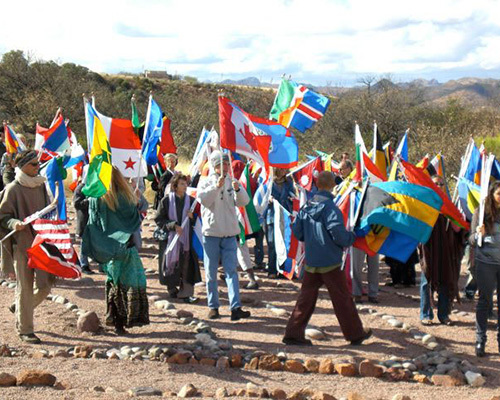 The intention of the Flag Ceremony is to commune as one in the spirit of the Universal Message, May Peace Prevail On Earth and to send your energetic words, thoughts and intentions for peace to prevail on Earth. 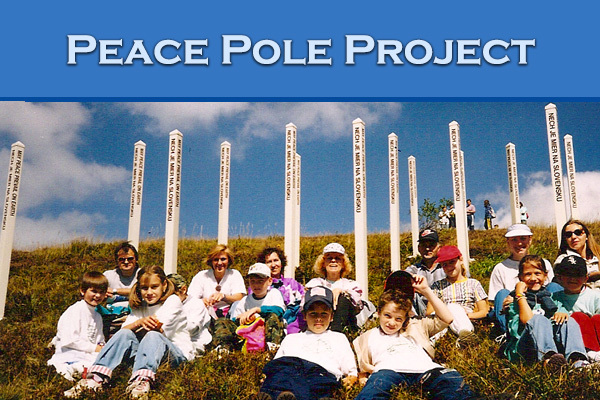 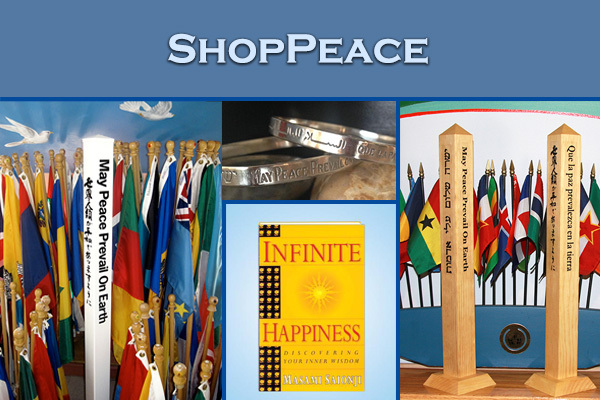 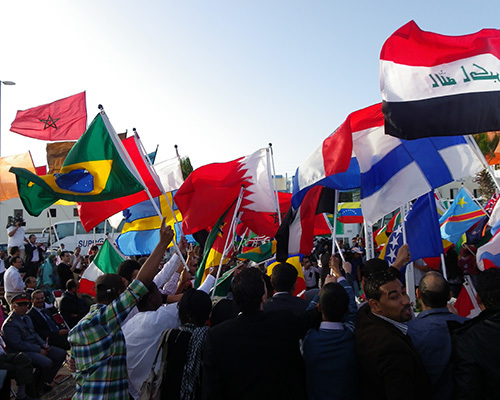 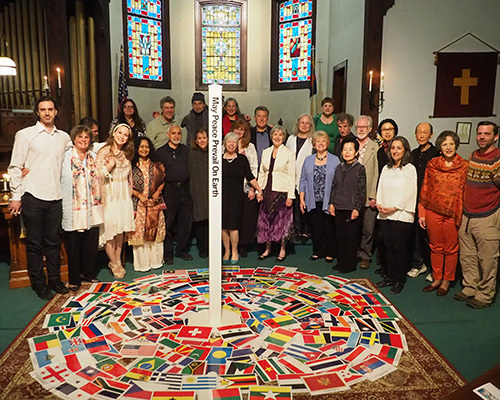 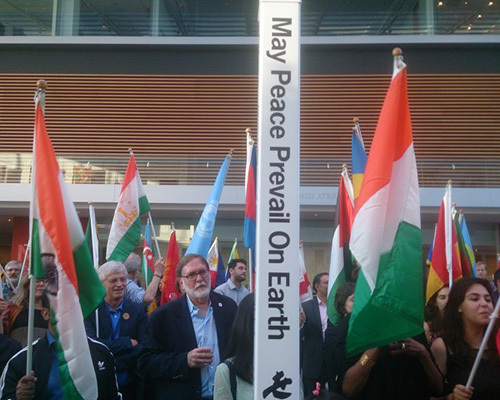 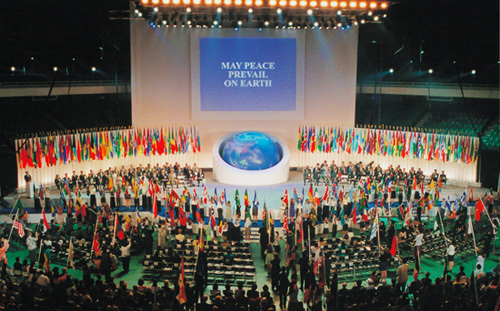 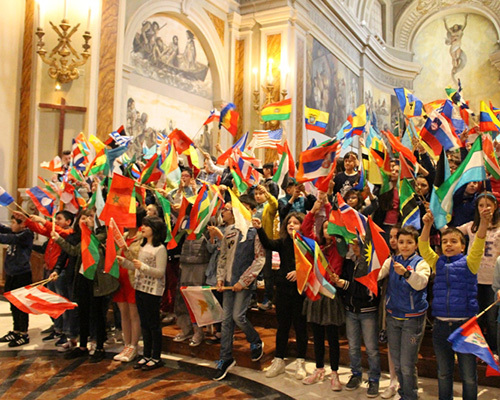 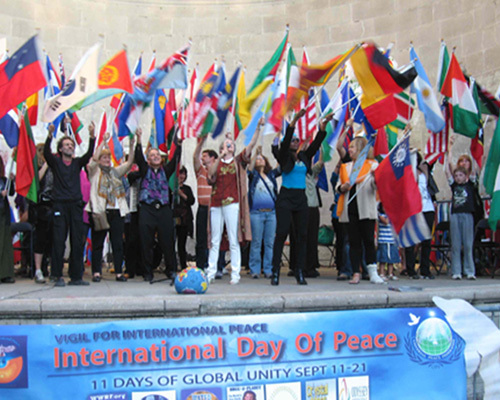 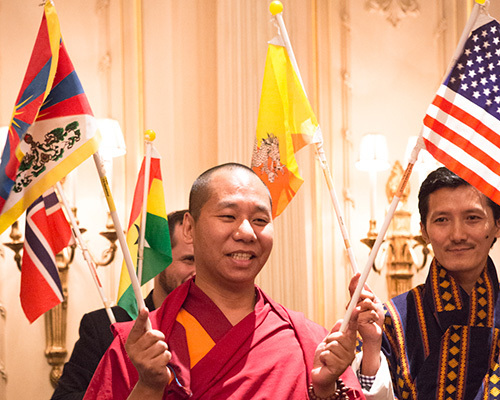 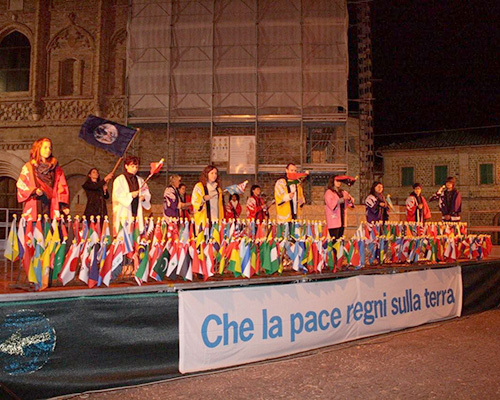 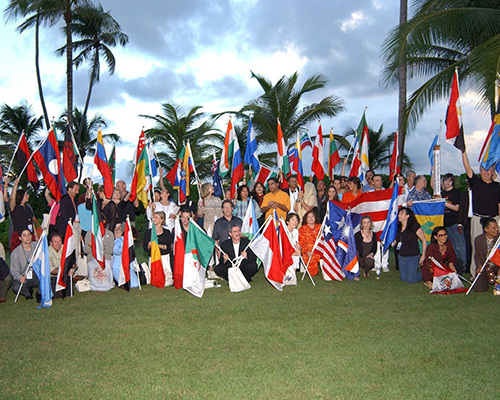 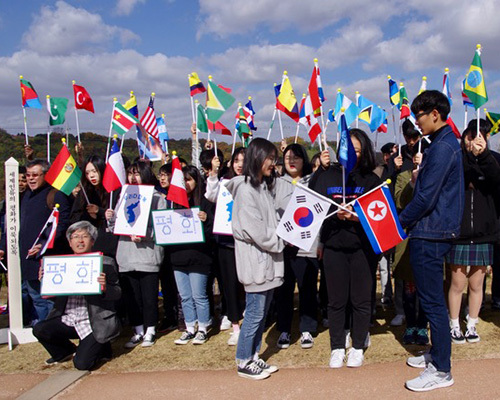 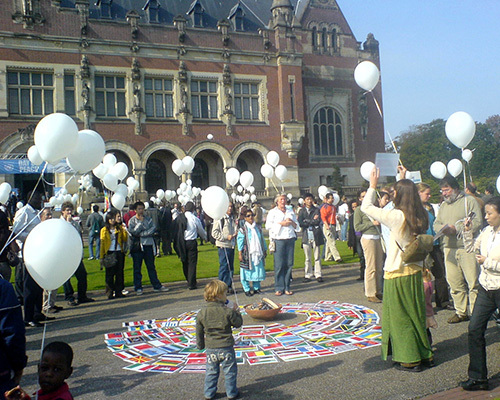 Since its inception in 1983, The World Peace Prayer and Flag Ceremony has been presented on every continent and in every major city throughout the world.